Most cellist begin with a rented cello. Students can try the cello to be sure it's what they want to play. Cello players play progressively larger instruments as they grow and renting allows them to move up when they're ready. The maintenance and replacement plan keeps the cello playing well, repairs it if it's damaged, and replaces it if it's lost or stolen. 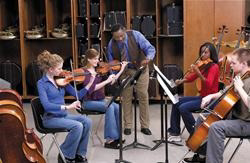 Renting allows time to see how serious the student will be and to determine what kind of instrument is right for the longer term. Renting a cello is simple and inexpensive. You choose the cello you want; we can help. Rent is as little as $39 per month. 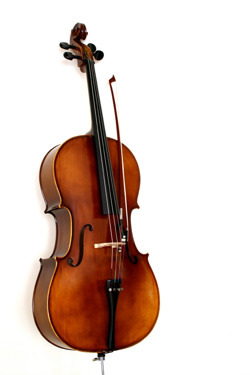 Why Rent Your Cello from Amro? Amro has been helping families make music since 1921, and is still run by the Averwater family (now the third and fourth generations). Student rentals are our main business. Maintenance & replacement plan to cover your instrument if it's damaged, lost, or stolen. Amro service: seven full-time educational representatives serve schools all over the Mid-South. There's a reason more Mid-Southerners rent from Amro than all the other stores combined. Ready to rent? Follow the link below to rent your instrument today.